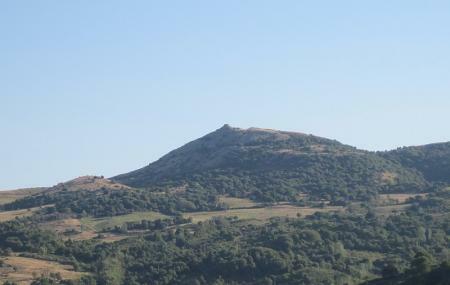 Monte Labbro is a mountain located amidst two protected areas viz. The Monte Labbro Natural Reserve and the Wildlife Park of Monte Amiata. The mountain offers many trails for trekking and hiking to reach its peak. It is primarily known due to the Giurisdavidic Tower and the Temple of Merigar West. The Gurisdavic Tower is present at the top of the mountain, which was used as a center for the Giuridavidic community. You can see the ruins of a tower, a chapel, and a church there that were built between the years of 1869 and 1875. Hike up along Monte Labbro to experience some adrenaline rush. Love this? Explore the entire list of places to visit in Arcidosso before you plan your trip. Fancy a good night's sleep after a tiring day? Check out where to stay in Arcidosso and book an accommodation of your choice. Wonderful harsh rock and grass landscape and 360° views. Trail for the hermitage moss covered. Be aware of the maremman shepherd dogs that roam abroad in the areas nearby. Simply amazing. It's in the middle if nowhere, but worth the trek. I was staying at an agrotourismo in Roccalbegna, and this was one of our outings into the local history and culture. Great view over Monte Amiata and the entire south of Tuscany. On clear days you can easily see the see, Argentario and Giglio island. Note that the access is via a few kilometres of gravel road.